Geomembranes are the superior choice for containing valued substances (drinking water, petrochemical products, etc.) and for protecting the environment from harmful substances (wastewater, petrochemicals, etc.). But how do you protect your geomembrane liner? A failed liner will, obviously, not provide its intended service. 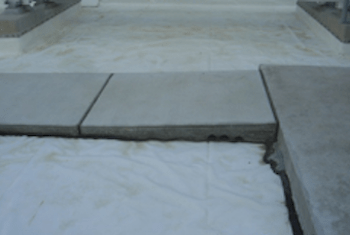 Geomembranes can be compromised by mechanical events (dropped tools, rocks in boots, etc.) by chemical attack (hydrocarbons, high or low pH, etc.) and by weathering (UV, harsh weather). When containing environmentally unfriendly substances, a spill will contaminate the cover layer. This will require additional effort and cost to remediate. 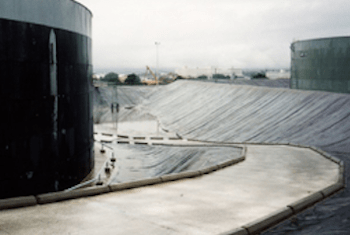 It is possible to leave the liner exposed and take advantage of the benefits that an exposed geomembrane offers. Three items must be addressed in order to do so. Second, care must be taken to provide resistance to wind uplift. Proven methodologies for determining ballast plans with sand tubes are readily available (see Design of Geomembrane Anchorage Against Wind Action, J.P, Ghiroud & M.H. Gleason; Geosynthetics International 1999, Vol 6, No. 6 p.481). Finally, provision should be made for access by personnel and vehicular traffic. 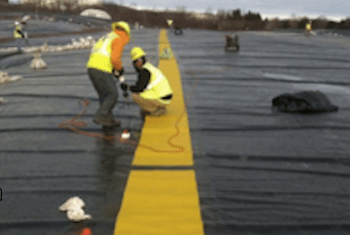 The geomembrane industry offers pedestrian traffic mats that not only protect the liner but offer visual guidance and slip resistance as well. For vehicular traffic, the US Army Corp of Engineers has been using a concrete-drive detail for decades with good success. 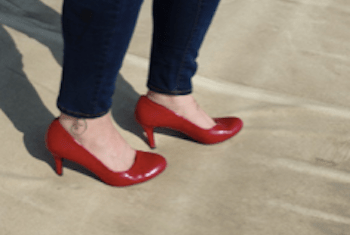 It can be used for foot traffic as well. By choosing the right liner, you can be confident that it can be employed without cover protection and provide the client with a more serviceable installation. What are your thoughts on protecting geomembrane liners? Tell us about them in the comments!